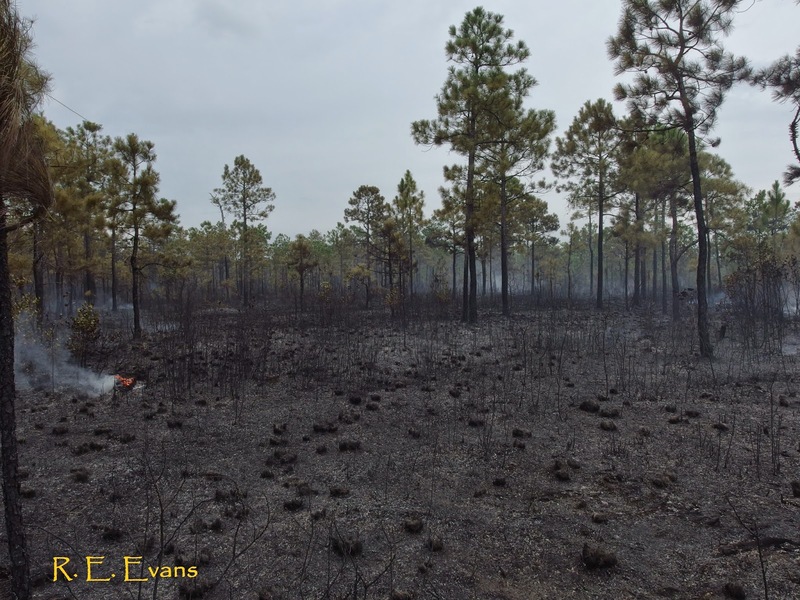 NC Plant Conservation & Beyond: The Long Awaited Summer (Fire) - Will it save our savannas? The Long Awaited Summer (Fire) - Will it save our savannas? For decades, typical controlled burns across the southeastern NC and the US occurred during the dormant or winter season. 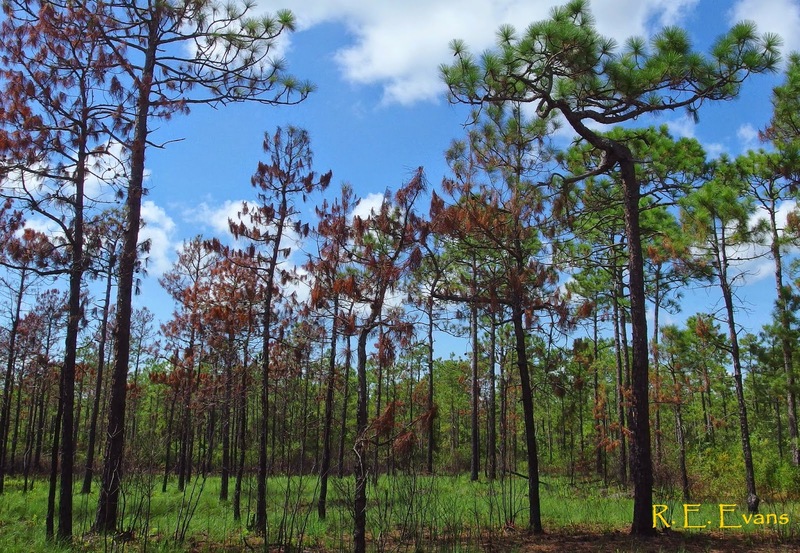 However, it has been recognized that significant parts of the landscape, especially areas dominated by longleaf pine, developed under eons subject to fires started by lightning. Lightning strikes, especially those most likely to start fires, are mostly associated with summer thunderstorms. In North Carolina July is the peak for these storms (1). 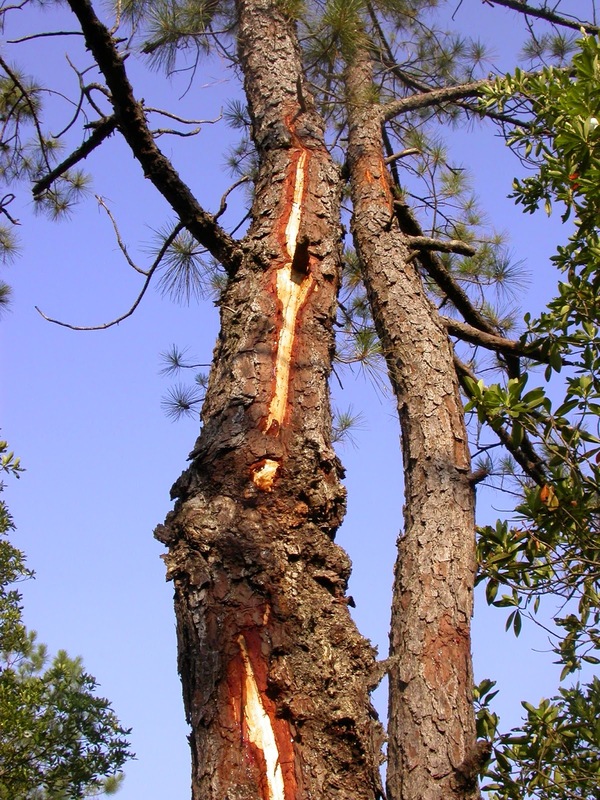 Outcalt (2) showed that the largest, tallest trees were preferentially hit by lightning in longleaf stands. These strikes often leave telltale marks (left), sometimes extending to the ground. In certain cases hot strikes ignite the tree itself and the flammable ground cover nearby (right). Given dry conditions, available fuels, wind to push the fire, and an unbroken landscape, such lightning ignited fires could have extended for miles. 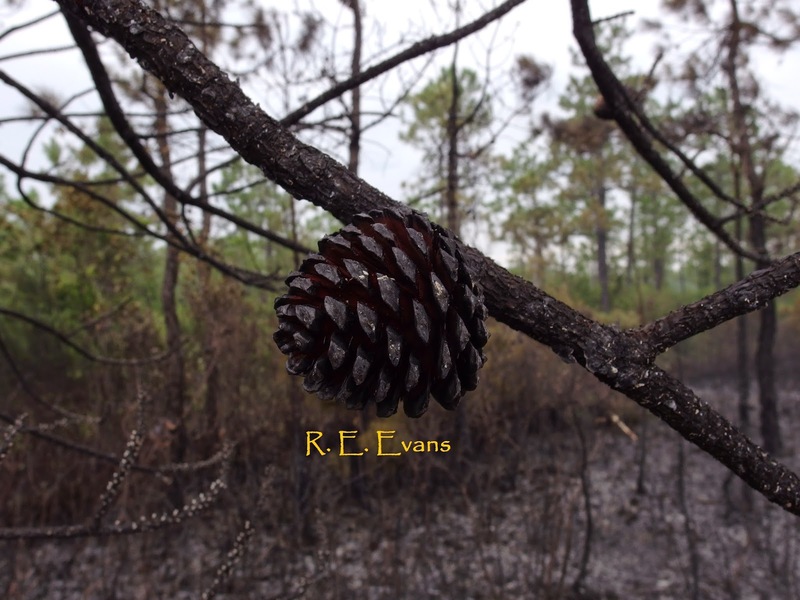 Large, old longleaf pines tend to have concentrated resins that allow them to burn hot, even when drenched with water. These can easily ignite fires even after the passage of rain fall events. There is some evidence that lightning season fires produce different ecological effects than fires at other seasons; at least 3 syntheses of these differences have been attempted (3,4,5). One benefit is the creation of "seedbeds" for longleaf pines, which drop their seeds in late Fall. These seeds (which are produced relatively infrequently, and primarily from older, larger trees) need to access mineral soil and are easily "hung up" in understory grass or shrubs. Ironically, typical winter burns occur almost immediately after seeds have dropped thereby destroying many seed crops. 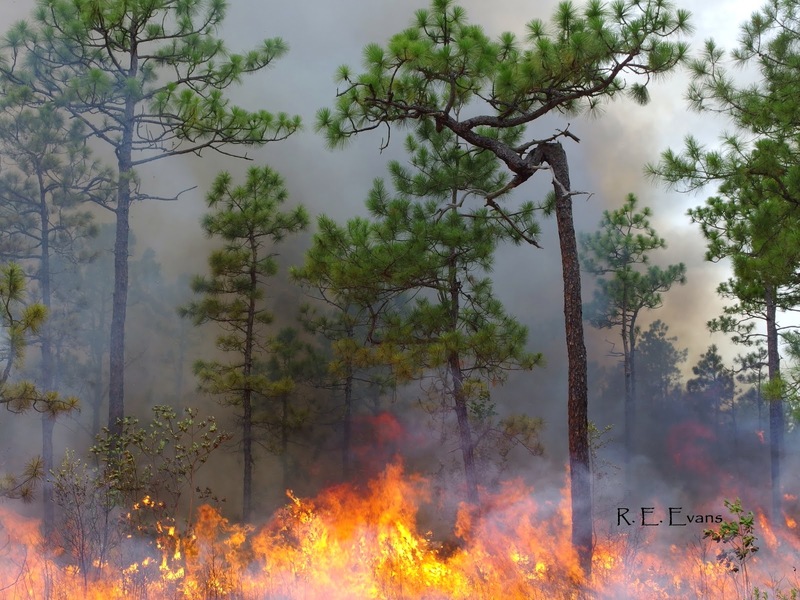 Therefore, managing longleaf stands with regular winter fires could eliminate regeneration of the dominant trees. 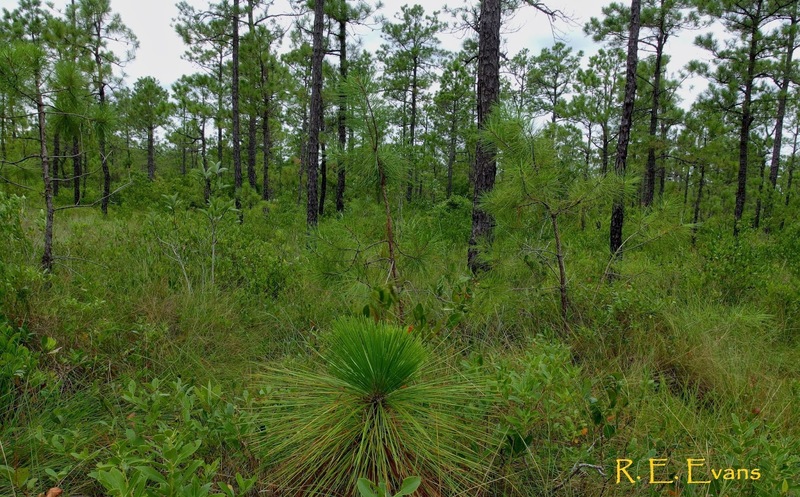 Further, non-lightning season fires (especially if infrequent as they are in most areas) tend to favor development of dense shrub stems which may further hinder longleaf regeneration. In contrast, Pond Pine (Pinus serotina) produces much smaller seeds, produces them at much younger ages, and holds them on the tree for several years until hot fire opens them. Fires during any season, including winter, could potentially heat the serotinous cones and cause seeds to drop into freshly prepared seed beds. 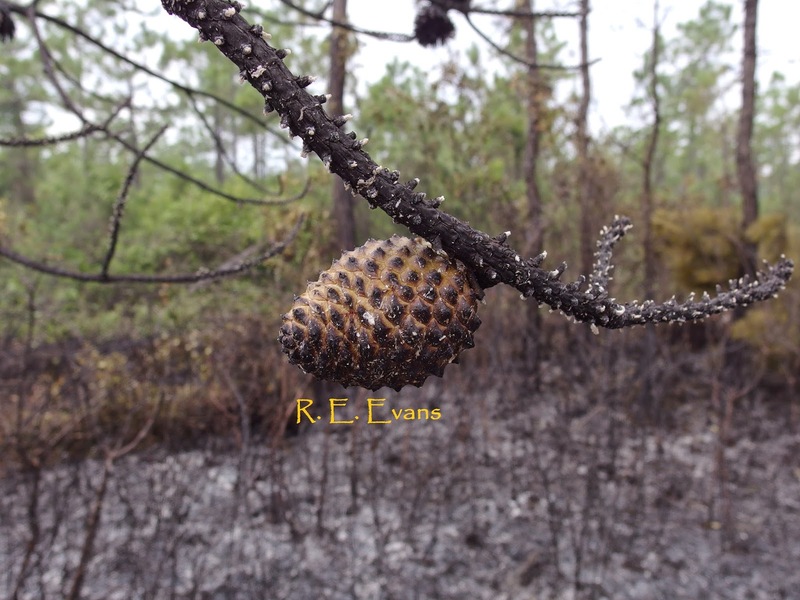 Pond Pine also has the capability to reprout after even intense fires that could kill similar sized longleaf pines. 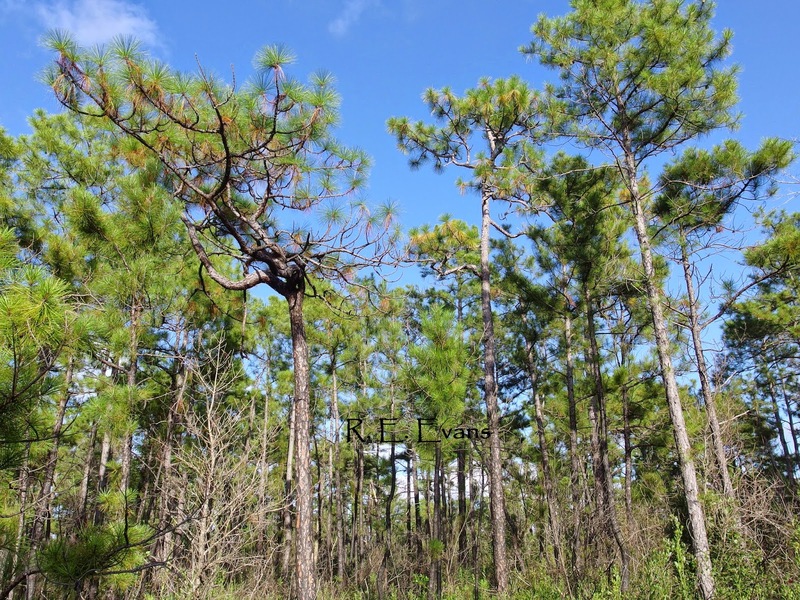 Taken together, these factors provide an environment where tree dominance shifts from longleaf pine to pond pine. 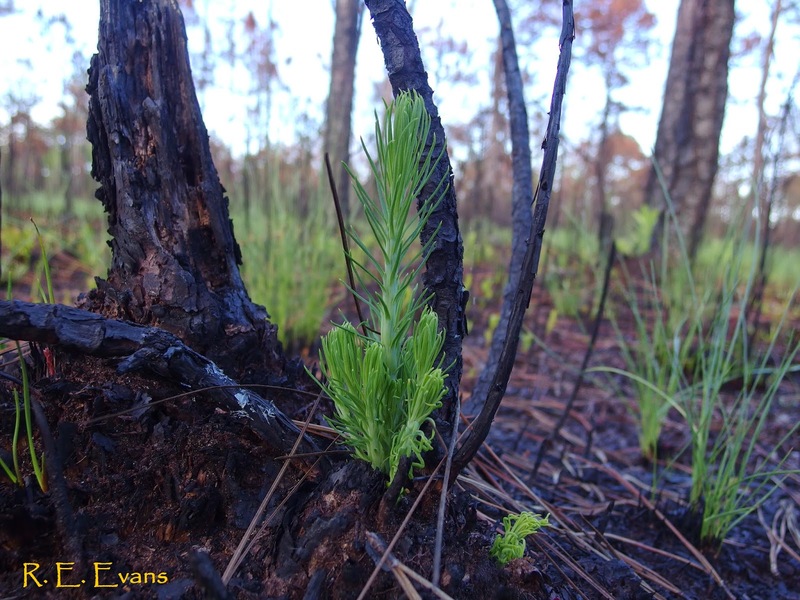 Although growing season fires are often thought to be important for various ecological reason one of the most important, yet least understood, may be the reversal of longleaf pine savanna replacement from dense, flammable stands of Pond Pine. (2) Outcalt, K. 2008. 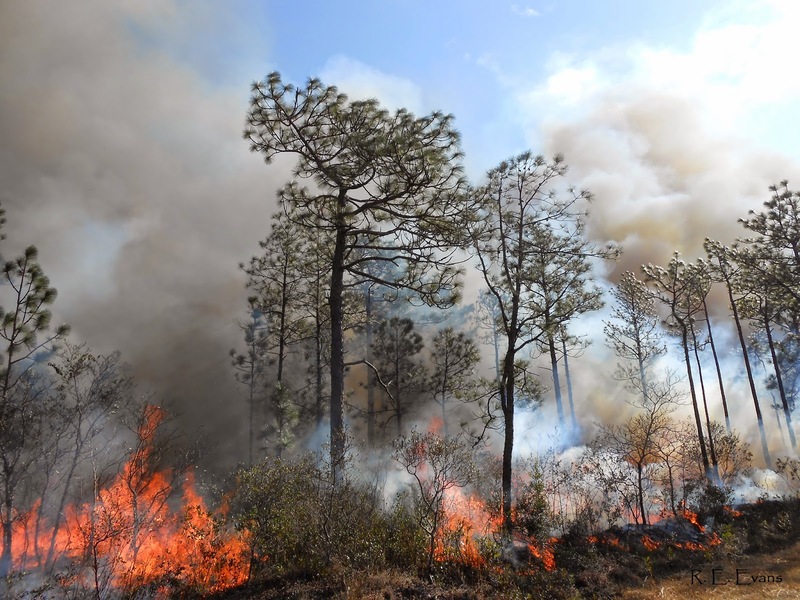 Lightning, fire and longleaf pine: Using natural disturbance to guide management. Forest Ecology and Management 255. (3) Robbins, L.E. and R.L. Myers. 1992. 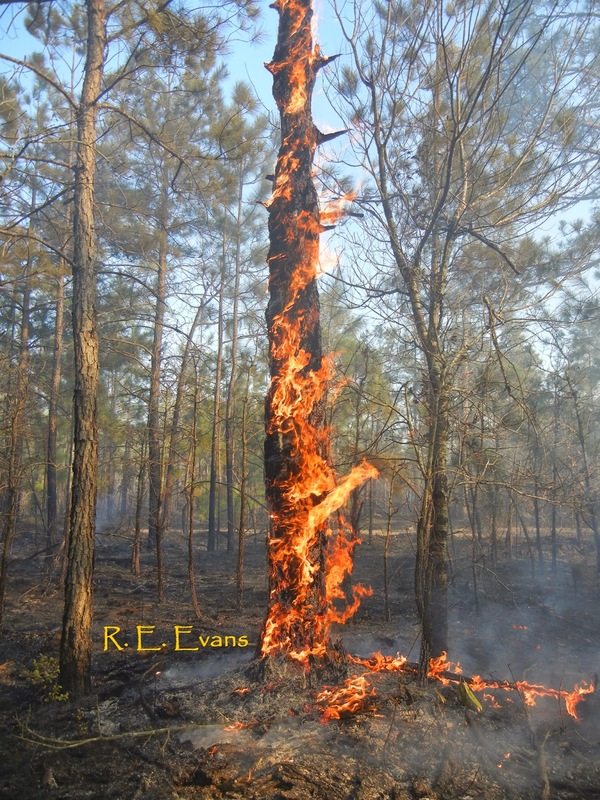 Seasonal effects of prescribed burning in Florida: a review. Tall Timbers Research Station. Misc. Publ. (4) Streng, etal. 1993. 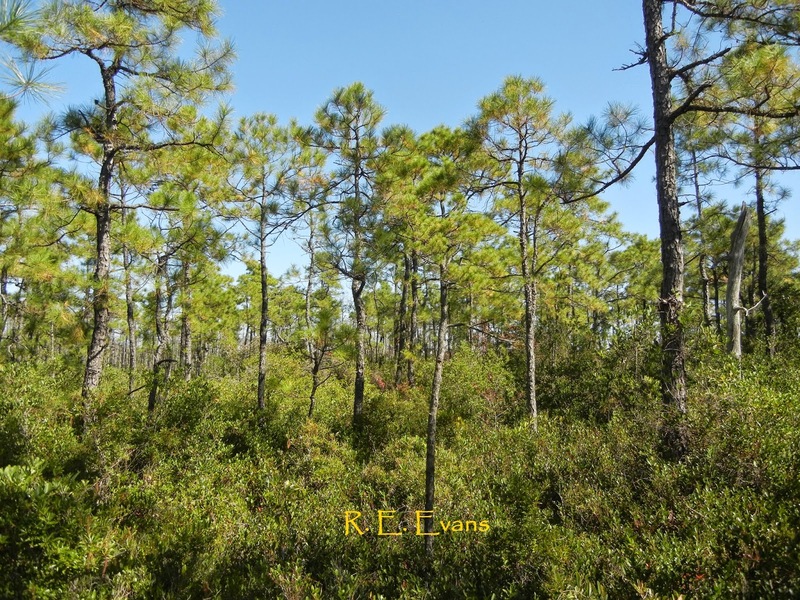 Evaluating effects of season of burn in longleaf pine forests: a critical literature review and some results from an ongoing long-term study. Proceedings Tall Timbers Fire Ecology Conference 18. (5) Knapp etal. 2009. Ecological effects of Prescribed Fire Season: A Literature Review and Synthesis for Managers. USDA General Technical Report PSW-GTR-229.